The progressive method of learning which EALC advocates is simply child-centered. EALC is a center for learning which aims to develop the child’s Christian values, and his intellectual socio-emotional and physical skills. 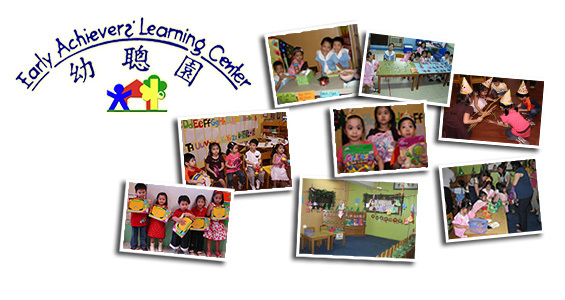 It provides learning materials and equipment appropriate for the wholistic development of the child. It provides space for both indoor and outdoor play, a resource center full of books, educational toys and toys for dramatic play. EALC provides a conducive environment carefully planned by curriculum coordinators and teachers well-trained in early childhood education to meet the needs of the individual child. In EALC, the child spends his time in studies lessons and activities, including activities that develop gross-motor and fine-motor skills. In this way, EALC prepares a child fully as he begins his journey in the big school. The school utilizes English and Chinese as the media of instruction. EALC also recognizes the paramount importance of the parents’ cooperation, support and commitment. Thus, the teachers work hand in hand with the parents to make EALC a second home for the children. Hi. Just wanted to ask if you have branch in green meadows or somewhere near Ateneo? Can you please give me the contact numbers? Thanks. Please check out our list of branches here. You may also contact the designated Program Coordinators of each branch. I’d like to ask if you have any vacant teaching positions at the moment. If you do, how or where can I learn more about the position? Hi! Just want to inquire how much (estimate) tuition fee for a year. Hi! When is the best time to visit your school ? My child is turning 3 next year and im planning to enrol him this coming June 2012. I would like to know more about your curriculum. Tnx! Hi I would like to inquire how much is the tuition fee for Pre-Nursery class, and what is the schedule. Do u have a weekend class? Thanks! Hello! My son is turning 3 this November and I’m planning to send him to school next school year. I wanted to get information about the curriculum for 3.5y/o and how much is the fee for whole school year 2012-2013. Hope to hear from you. Thanks! Please check your email, thank you for your interest with EALC. I’d like to know if you have an available slot for teacher position. I can teach english or chinese class. I can read, write and speak using these languages. I’m very much available and ready to serve your company anytime if needed. Thank you very much for spending your precious time. You can call me for an interview at 0915-3255705. My daughter is turning 3 this Dec., may I request for info on requirements and procedures for applying for admission to your Junior and/or Senior Nursery Class for S.Y. 2012-13 (foreigner applicant)? If possible, can i visit your school? Thank you for your time, your prompt reply is highly appreciated. Hi, I would like to inquire about the preschool class. My son just turned 3 and would like to enroll him next school year. Could you send me information about preschool; i.e. schedule, tuition fee, curriculum? Hope to hear from you. Hi! My son is turning 3 by February next year and I am looking for a school where i can enroll him. Please give me information regarding your Junior Nursery class. Include the curriculum and teaching method as well as tuition fee. Hi! Im interested in enrolling my son to the pre-nursery class. He is 1 yr and 7 months old. Please let me know more about this program, the schedule, how many classmates he will have, etc. Would appreciate too if I can be adviced as to when we can pay a visit. Thank you! my daughter is turning 4 yrs old nxt yr and i am planning to enroll her i just want to inquire with regards to your tuition fees and misc.fees? and any information for first timer. Im planning to enroll my son this year. His 3.5 years old. I would like to inquire with regards to your tuition fee per year?are there any payment schemes?What is the teacher-to-child ratio?how big are the classes? Teaching method,Curriculum,policies? What are the facilities? Hi, can you please send to my email the curriculum for Junior Nursery Class and if you have a weekend schedule and also please include the tuition fee. Please refer to info sent via your email, thank you for your interest in EALC. Hi, do you have a vacant teaching position for preschool level? I am a graduate of Bachelor in Elementary Education Major in Special Education. I will be very honored to be part of your team in enriching and molding the minds of little children. Hope to hear from you soon! Thank you very much! Hi! How much is the tuition fee for your Pre-Nursery class? Thanks! My daughter is turning 4 this October and we’re interested in sending her to your school. Could you send us your curriculum, enrollment requirements and tuition fee details? I would like to inquire about your senior nursery class. How much is the tuition fee? I am available to visit your school every Monday. Hi! wanting to inquire the estimate tuition fee and misc. fees for this school year. for pre school. i have a daughter, she’s 4 year old and 2 months. Hi! i’m interested in enrolling my son in your senior nursery class. He’s turning 4 this coming July. i would really appreciate it if you could send me information regarding the curriculum, class schedule & tuition fee rate (including payment terms). Thank you very much! Good day…. Hi! i’m interested in enrolling my son in your senior nursery class. He’s turning 4 this coming July. i would really appreciate it if you could send me information regarding the curriculum, class schedule & tuition fee rate (including payment terms). Thank you very much! my son will start preschool this year, he’s 4 yrs old. how much will be the tuition fee for nursery. thnks! Hi, this is a very serious inquiry, I’m currently living in Europe with my American family and we are moving back to Philippines in September 2012 and will be staying for a year. I have two sons, 5 and 2 that I would like to enroll in an English speaking school and I’ve been searching for a school that will be willing to accept them in September and the location is very important since we will be living at my Parents’ house in Caloocan City. My question is, is your school willing to accomodate late enrollees? Tuition fee or additional fees for possible tutors ( if they have to do some catching up since they will be starting late ) will not be an issue. Both my kids are english speaking ( they are american citizens) and healthy and smart. Hoping for a response from your office. Thanks in advance. My son is 1year and 8 months. Can you please send me class schedule and how much are the rates? My child is turning 3 years old next year and we are planning to enroll him in preschool. I noted that English and Chinese are the medium of instruction. Is it okay if my child has no background in Chinese? Can you also provide me an idea, estimate perhaps, of the school fees, misc fees, book uniform? May I know when is the best time to visit the school for inquiries? Should I make an appoint or you can accept walk in? hi iam inquiing about your pre-nursery how much is the tuition? and pls send me the payment scheme you have, ? Thank you for your patience, please refer to our email as per your inquiry. Thank you for your interest in EALC. And what are the school programs and activities and the duration? Thank you for your patience, we have sent you an email for your reference. Thank you for your interest in EALC. Thank you for your interest in EALC, please refer to our email. My daughter is turning 4 next year…can you please tell me your tuition and other misc fees? Thank you for your interest in EALC, please check your email for details. Hi. I just like to inquire about the tuition fee for kinder. Including the misc fee..thanks! Pls refer to emailed response, thank you for your interest in EALC. Hi! My son is turning 3 this year. Kindly send me you school’s Tuition and other fees. I’m scouting for his school kasi. Thanks! Pls refer to our emailed response, thank you for your interest in EALC. I would like to know how much is the tuition fee (inc. misc fees and other fees) for Junior Kinder Class? What are the requirements for admission? What are the class Schedules? When will be the start of enrollment? I would like to ask if how much is the tuition fee for pre-nursery class? what are the requirements needed, shcedules, when is the start of enrollment? my niece is 1.2 yrs old. when she reaches the age 1.6 yrs old can she enroll or does she have to start the next year? in EALC. Hope to hear from you soon. Good day! I am currently scouting for a preschool for my son who will be 4yo this coming school year 2013. He hasn’t gone through any play schools so it will be his very first time to be around kids his age in a school set-up. I would like to ask then what level he’d have to start with, how much the tuition is, miscellaneuos fees, school schedules, and when you will be open for enrolment. Thanks and I look forward to your response. Hi, id like to inquire if you have summer programs suitable for my son who’s 3 yo. We’re thinking of having him attend a summer class to prepare him for the school year. Can we have a list of your curriculum as well the fees? thanks. I was referring to your Manresa branch. I would like to inquire how much is the tuition fee. My daughter turned 4 last February. I would appreciate it if you could also include the requirements for admission in your reply. and the schedule of enrollment. my daugher turned 5 on dec. 2012…what level is she eligible to apply for? and how much is the fee? your interest in EALC. Offices resume April 1, 2013.